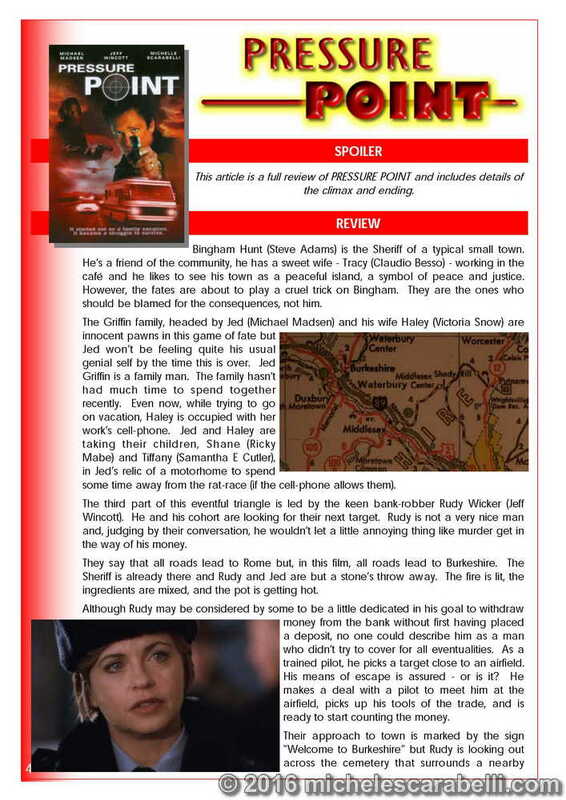 The majority of this special edition of the Fans of Michele Scarabelli publication is dedicated to Michele’s recent suspense film Pressure Point (recently released on DVD). Includes a feature-length review and overview. A look at all of the films currently available on DVD that feature Michele. This episode-list to all things Tencton guides you through the entire series and onto the widely acclaimed films. An overview of the recently disbanded A.N.A.S. Our regular look at popular websites that feature Michele. As always, theSmile is printed in full vibrant colour and is fully illustrated.